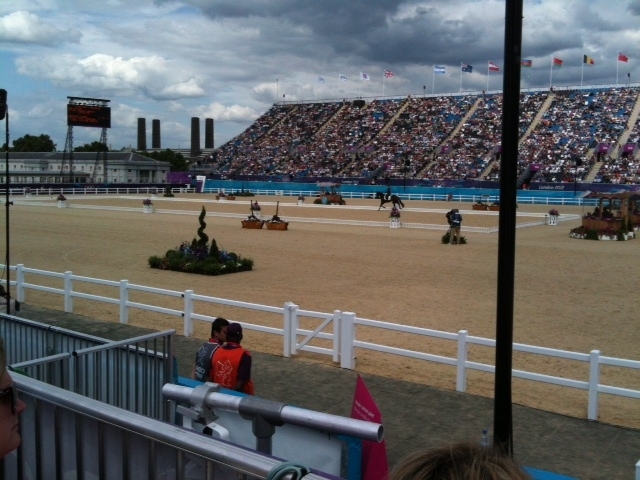 Impresed by the enormous stadium, Harald Ambros and O-Feltiz were in the first dressage block in the eventing competition of the Olympic Games. 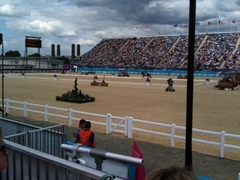 The couple received 69.5 minus points for their somewhat nervous presentation which means 35th place for the time being in the first part of the test which will be held over two days. The cross country is on Monday - and that's the strength of this Austrian coouple. The cross country is 5,700 meters long with 28 jumps in a hilly part of Greenwich Park - a very demanding course. We're crossing our fingers for Harald Ambros!! !